Did Frank Costello Ever Make His Bones? Welcome back to the Social Club. For this edition of Uncle Frank’s Place I wanted to answer the question I get asked most often about the Prime Minister. Out of everything I have Read about the man, I have only come across one story of Costello’s rum-running days that told of a dispute he had with a rival bootlegger over territory. This rival was later found dead, his body riddled with bullets, and some said Costello took the credit for it. Those who knew Frank, however, claimed this story to be ridiculous, and they could scarcely imagine Frank carrying a gun, let alone using one. The general consensus was that he had nothing to do with the murder and simply used the story to bolster his reputation; not a bad idea given his line of work. This author tends to believe the theory that he himself never pulled the trigger, though he easily could have paid someone to do it. So I suppose my answer is no, I don’t think he ever made his bones, but would I be surprised if I found evidence that he had? Not really. He was, after all, a gangster. How then did Costello ever get to be a made man? The answer is simple; Frank didn’t make bones, he made money and connections, and he made a lot of both. He simply was too much of an asset for the mob to turn away, though I have yet to come across a story of him participating in the induction ceremony for La Cosa Nostra. If it happened, he never talked about it, which is not surprising as he hated talking about the mob and generally refused to do so. He had no need to get his hands dirty, and if he wanted you taken care of, no place was safe: not even a hotel full of cops as the “Canary who could sing but couldn’t fly” taught the mob world. Even a guarded prison cell could not protect you, as in the case of Peter LaTempa. He may not have carried a gun, but some of the most terrifying hits in mob history happened at the hands of the gentleman gangster. 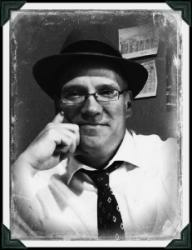 Frank was also a suspect in Arnold Rothstein’s murder. After his death, police found a note for $25,000, and a check (that bounced,) for $10,000, both signed by Frank Costello. Frank settled with the Rothstein estate for $5,000, and quickly took over Rothsein’s lucrative bookmaking racket. 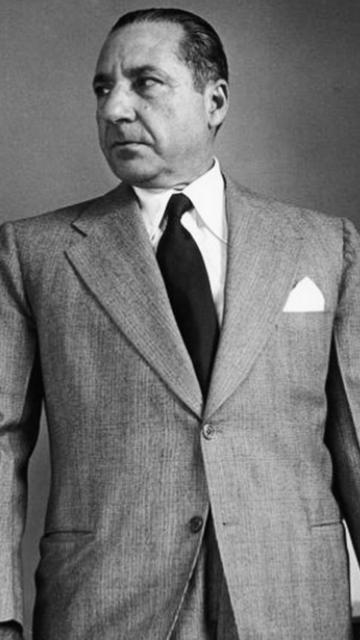 It is estimated that Murder Inc., Costello’s elite squad of hit men, were responsible for over one hundred murders during Frank’s reign as boss, though the actual number may be much higher. While he preached nonviolence, and never participated in the killing himself, as the boss he would have certainly had to give the order. Like anyone in a position of true power, such as a general, or a president, you may not see it through the camera eye, but “His Grey Eminence,” as the younger mobsters who looked up to Frank called him, had blood soaked deep into those well manicured hands.